Styx's iconic status in American rock history comes courtesy of a recorded legacy and scandalous tales of rock n' roll debauchery that would establish the wild child tag belonging to rock bands on the road. However, beneath the animated decadence and sexual exploits lay a molten underbelly of songwriting talent. This would give way to bona-fide classics, songs that would stand the test of time and reach beyond their own era, influencing a new breed of soft metal upstarts. This 1977 recording session for Mantra Studios in Illinois finds the band on the brink of international stardom and their ultimate success. 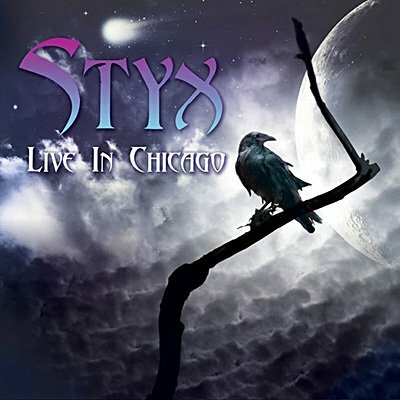 Orbit is proud to present the entire WKQX FM broadcast of Styx's performance at Chicago's Mantra Studios for their 'Studio Jam Radio Network' session in 1977. Showcasing their new album The Grand Illusion, the band also dip into their 1975 Equinox LP easily disarming any one-trick pony accusations in the process.